Paul's Landing is what we call a "destination restaurant". Aside from guests that are staying at The Vinoy, nobody really walks by it and goes in by chance like they might while walking by the many eateries along Beach Drive. You should make it your next destination. It's hard to believe that the restaurant will be 1-year old in about a month. Don't make the same mistake we did and wait so long to go. The food is fresh, local, delicious, and creative. There are items you won't find anywhere else, and the items you do find elsewhere, like wings—are so dang good—that you really can't get them elsewhere. To get to the restaurant, enter the hotel's main lobby. Turn right, and keep walking (keep walking) until you get to the pool. Go outside and cross over to the other side of the pool, and there in it's own freestanding building is Paul's. There's a great view of the waterfront marina, the pool, and the downtown skyline. 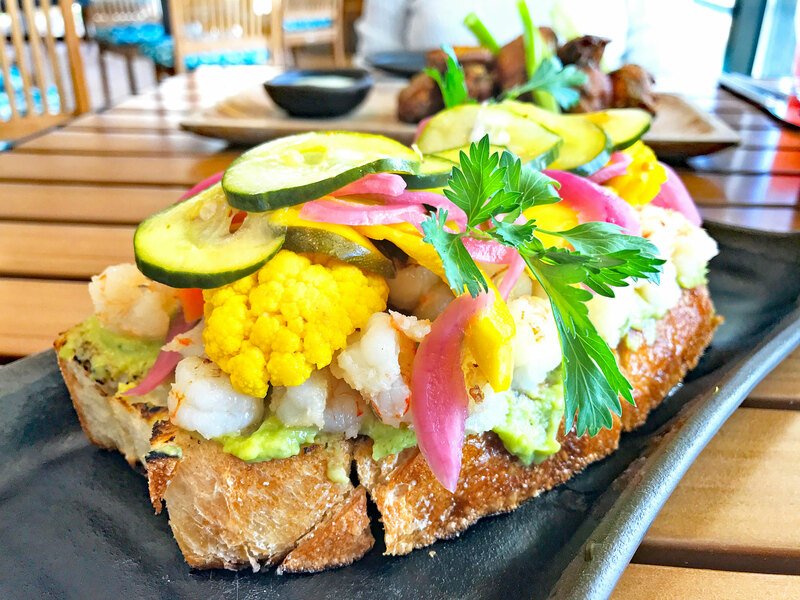 They have indoor and outdoor seating for 200, and it is definitely casual since they serve the pool, but it will be the best "pool service food" ... or just some of the best food you've ever eaten. Jannus Landing is where a plane landed a long time ago. Let's get into the food! Since we knew Chef Luke Decker from when he landed at a Beach Drive joint a few years ago, we made sure that he would be there when we went for lunch just before Christmas. We let him pick what we would have ... except for the drinks. Lori picked those. We started with Shrimp Toast, and when it came out, I heard the voice of an African-American woman (in my head) and pictured her wagging her head, and index finger left and right, and saying, "That ain't no shrimp toast like I ever seen!" This is not the shrimp toast you grew up with from the Chinese restaurant that is made from small triangles of bread, brushed with egg, and deep fried. It's more like an avocado toast on steroids. It's fresh, delicious, and huge—roughly 10 inches long, and 3 inches high—and oh so good. I mentioned wings in the introduction for a reason. The smoked wings here are killer delicious. The seasonings, outside crunchiness, and inside juiciness will have you craving these for days. 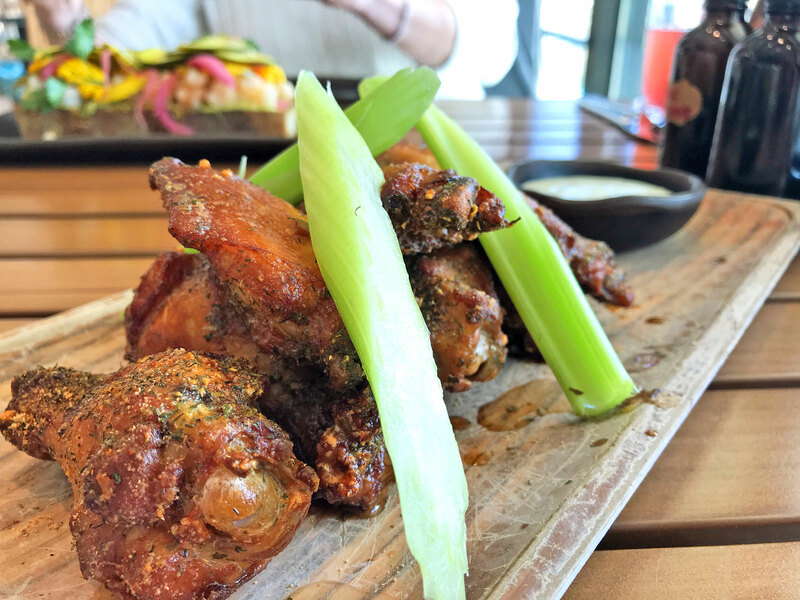 Smoked Wings - beer brined, house ranch, citrus chili rub. The crab cakes are contenders for some of the best around town too. They are full of flavor, and loaded with crab meat, which causes them to fall apart a bit, but that's just fine. The fresh citrus, pickled onions, and herbs really brighten up the dish nicely. 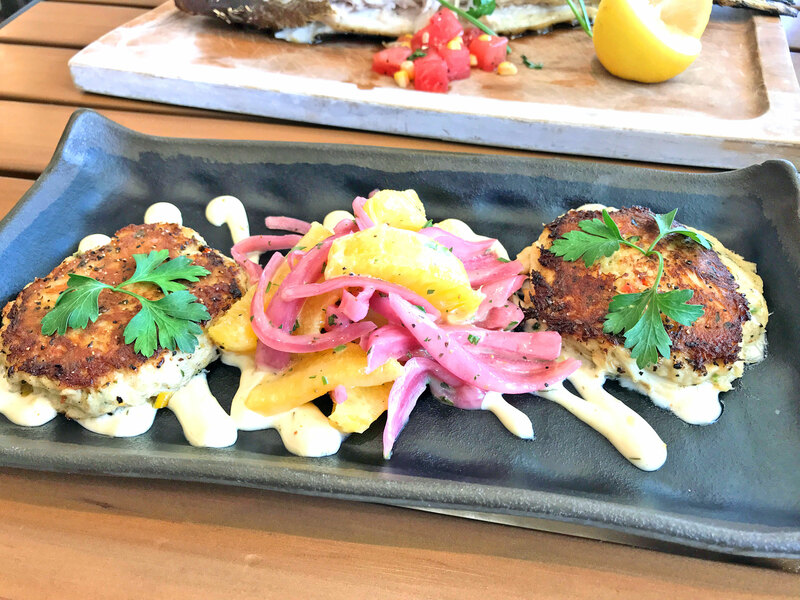 Seared Crab Cakes - citrus remoulade, heirloom tomato & herb salad. Then came the whole fish. This is when Lori looked at me like, "ah crap". However, it turned out that this is quite easy to eat, and tastes amazing. The flesh comes off super easy. The skin adds just a tiny bit of additional texture. There may be an occasional tiny bone, but it's all part of the experience of local, fresh, whole fish. 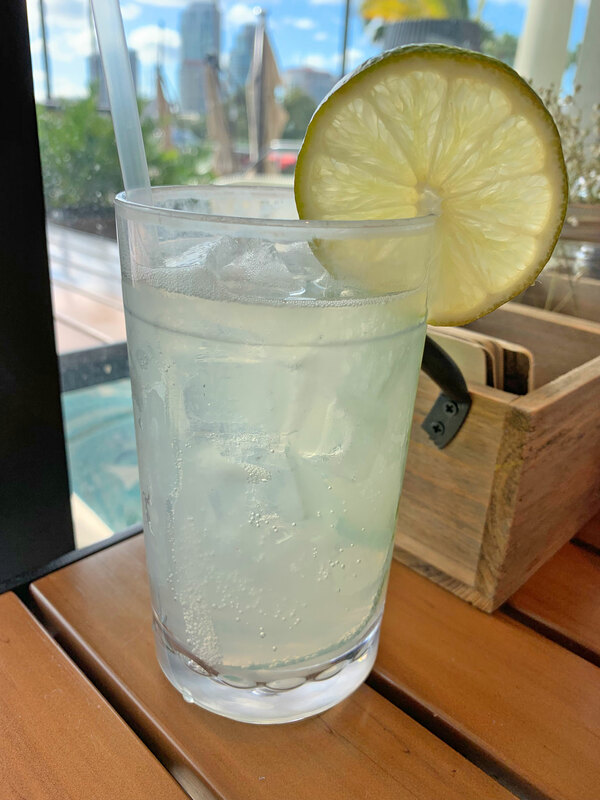 The menu actually reads "Whole Fish" because the offering changes based on what is fresh, and locally in season, so it may not always be a yellowtail snapper. 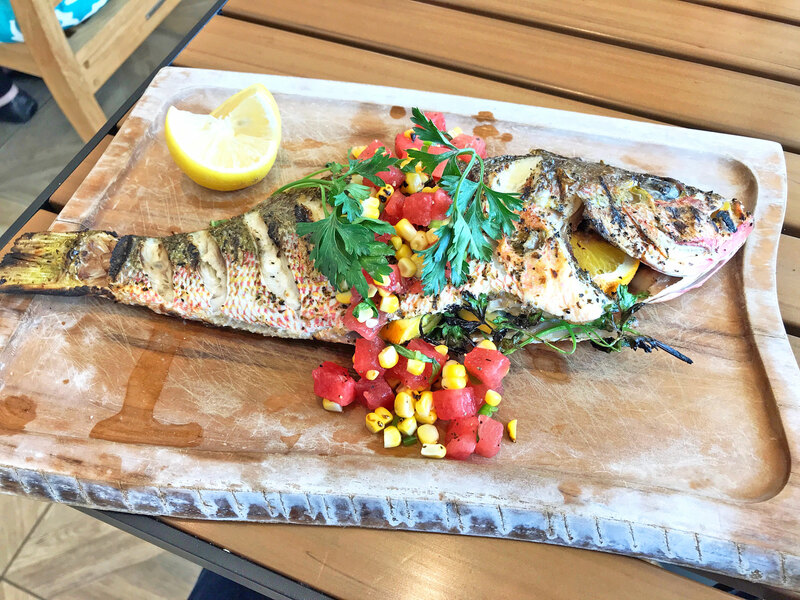 Grilled Whole Yellowtail Snapper - citrus, herbs, charred corn and black bean salsa. When Lori's around, there's no way we're leaving without having some fried chicken, and Paul's definitely passed the test. The Drop Biscuits were a nice change of pace too. 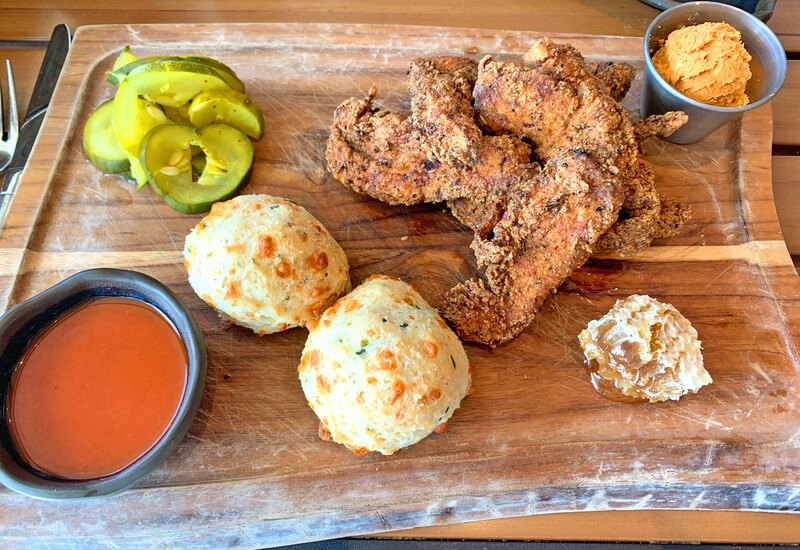 Paul's Fried Chicken & Biscuits - buttermilk marinated white meat, honey comb, pickles. There is an eclectic, and unique drink menu as well. 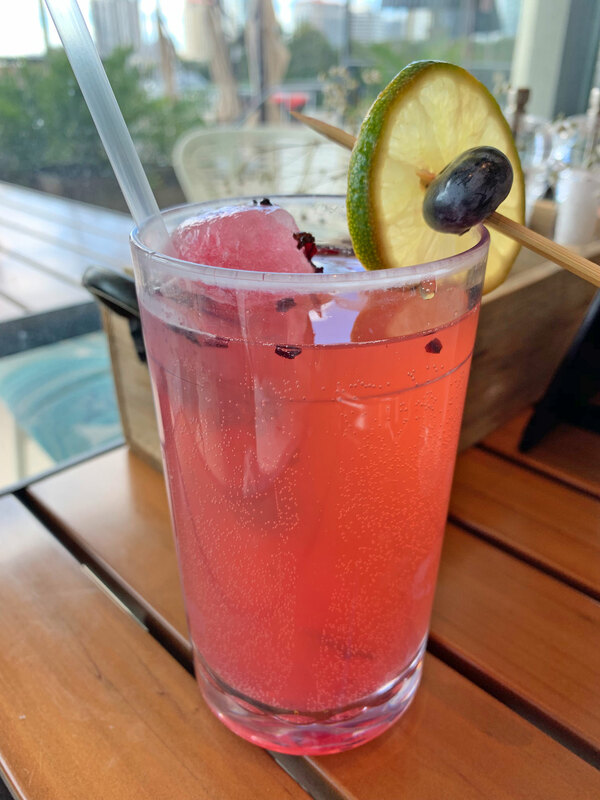 We loved the Cucumber Cooler and Blueberry Fizz. 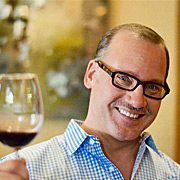 Remember to make Paul's Landing at The Vinoy your next restaurant destination! The restaurant's website says that William Paul was a Navy Surveyor, and that he bought the land in 1854. According to the book, "St. Petersburg's Piers" (April 2015) By Nevin D. Sitler, Lt. C.H. Berryman was the surveyor, and William Paul was his carpenter. The Navy abandoned the land, and William Paul returned to claim it in 1855. He left in 1859 to take care of his ill wife. Waterfront and pool views with fresh, local seafood, smoked, citrus, light and hearty dishes.